in New England and located on the South Shore of Massachusetts. SSDC is a certified USA & AAU Junior Springboard Diving Program. SSDC’s GRACE “G” MAGEE WINS D2 STATE DIVING CHAMPIONSHIPS! SSDC HAS 4 DIVERS IN THE TOP 8 @ GIRTLS D2 STATES! GRACE MAGEE 1st - KIKI MURPHY 4th - LAUREN O’SULLIVAN 7th - TIERNEY REGAN 8th - GRACE ZIMMER - 17th , and DELANEY SMITH 21st. SSDC HAD IT’S FIRST TOP BOY FINISHER - FINN PATERSON EARNS 6th @ THE HIGHLY COMPETITIVE MIAA D2 BOYS STATE DIVING CHAMPIONSHIPS! GREAT WORK BY ALEX WALTMAN - 21st & SPENCER DEERING 23rd. Delaney Smith,(Nauset), Alex Waltman (Scituate), Specer Deering, (Seekonk), Finn Paterson, (Seekonk), Tierney Regan (Duxbury). "BRENNA SHORT - NATIONAL CHAMPION!!!" Brenna Short - 12 Becomes National Champion on 1 meter at the AAU National Diving Championships in San Antonio, TX. This is Brenna's 3rd National Championship, in 3 years, and set a record for SSDC's only 3-time medalist three years in a row. Brenna joins fellow SSDC diver, Erin "Kiki" Murphy, with three National Championship wins. We had an outstanding group of divers this year in Senior Captain Lauren O'Sullivan, Captain Kiki Murphy, Captain Grace Magee, Tierney Regan, Delaney, Smith, Finn Paterson, Olivia Templeton, Kara Leahy, Brenna Short, Amanda Bross, Matthew Cristofaro, and Sadie Him. All 12 SSDC Divers were tough competitors and 5 divers, Brenna Short (1m & 3m), Matthew Cristofaro (1m & 3m), Olivia Templeton (3m) Amanda Bross (1m) and Sadie Him (3m), emerged with AAU "ALL AMERICAN" honors (Top 12 in the country). CONGRATULATIONS!!! WELCOME TO SOUTH SHORE DIVING!!! SSDC divers embody the best qualities of sportsmanship, work ethic, and pride, fostered by a close-knit, supportive team community. We take seriously the development of our athletes as competitive divers in a safe and methodical way, but are most proud of how they apply the leadership lessons learned from diving as they move beyond the world of diving: to college, work, and beyond. SSDC divers proudly represent their club team, schools, and their communities, competing at local, state, and national competitions! SSDC - DIVING in COLLEGE! SSDC alumni continue their diving success as Senior CAPTAIN Hannah Mudge is making a big difference diving for Division 1 - GEORGIA SOUTHERN! Also, Senior CAPTAIN Mackenzie Hagist, brings diving to new heights for D1 - NORTHEASTERN UNIVERSITY Swimming and Diving Team! Additionally, Senior CAPTAIN Cece O'Reilly, and Gabby Taghian are competing for D1 - BOSTON COLLEGE making BC tough to beat in 2018/19! Good luck to all the SSDC alumni divers who are diving in college! You make SSDC very proud! AAU ALL-AMERICAN - Brenna Short WINS Girls 12 - 1m - "GOLD" and "BRONZE" on 3meter @ the 2018 AAU National Diving Championships! AAU ALL-AMERICAN - Matthew Cristofaro the first SSDC boy to earn "ALL-AMERICAN" on both boards. 9th on 3 meter and 12th on 1 meter @ the 2018 AAU National Diving Championships!!!! AAU ALL-AMERICAN - Olivia Templeton - 13, earns 10th on 3-meter @ the 2018 AAU National Diving Championships!!!! AAU ALL-AMERICAN - Amanda Bross - 12, earns 11th on 1-meter @ the 2018 AAU National Diving Championships!!!! AAU ALL-AMERICAN - Sadie Him - 10, earns 9th on 3-meter @ the 2018 AAU National Diving Championships!!!! The Team's focus with these young athletes is to lead by example and that there is no substitute for hard work and working as a team to achieve your goals. I am so proud of the team's accomplishments, but I know it is just the tip of the iceberg! "EAST COAST - BLUE TEAM"
which won the RWB National Championships! Competed in SSDC's first INTERNATIONAL diving Invitational @ The International CAMO Invitation in Montreal, Canada. Both brenna and Olivia competed against Canada, Portugal, Cuba, Australia, United Kingdom, Austria, Puerto Rico. Spain, France and Italy to name a few! Coach Craig Dolloff grew up on the South Shore in Duxbury, MA and he got involved with diving when he was 11 years old as part of the original Duxbury Aqua-Dux Swimming and Diving Team. Craig started SSDC in the Fall of 2004 and started with just 5 divers. Since then SSDC has grown to be one of the premier diving clubs in United States. 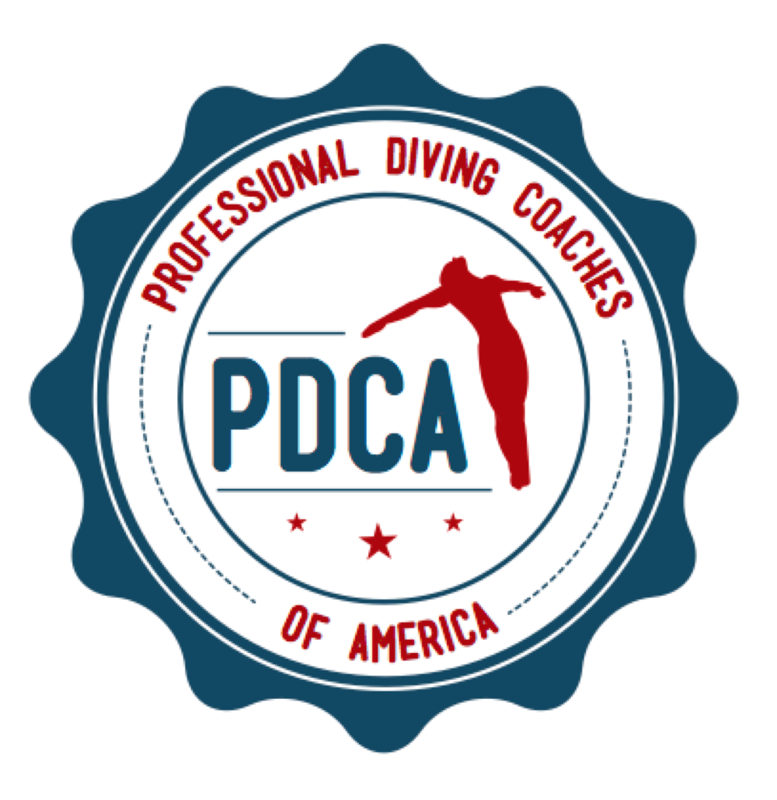 The entire Coaching staff of SSDC has a passion for elevating the sport of diving and are driven to help each and every diver reach their diving goals. Coach Dolloff, one of the top springboard diving club instructors in the U.S., focuses South Shore Diving Club (SSDC) on having solid diving fundamentals that leads to outstanding dive results. Coach Dolloff has coached 6 AAU National Champion Titles, and 49 AAU All-Americans (Top 12 in the Country). Coach Dolloff and his coaches strive to not only help the club divers achieve their athletic goals, but to help them be accountable, responsible, and to lead by example in everything they do. In 2007, the first SSDC diver qualified for the AAU National Diving Championships, and since then, we have never looked back: SSDC divers have qualified for AAU Nationals every year since! In 2018 SSDC brought a total of 12 divers to AAU Nationals. Since 2009, SSDC divers have earned AAU ALL-AMERICAN Diving Honors every year. Currently, the club has divers that come from all over the South Shore of Massachusetts and Rhode Island. U.S. SAFE SPORT - CERTIFIED. AAU DIVING - DIVING COACH. RED CROSS - CPR & FIRST AID. Chris has been coaching at SSDC for over 10 years. He started diving at Manhasset Bay Yacht Club on the North Shore of Long Island every summer and began competing in the country club league. Before diving in high school he was introduced to the legendary Hazel Barr and began training at the Flushing YMCA in Queens, NY. With Hazel I learned to appreciate and respect all aspects of diving. Chris has been coaching with SSDC since 2008 and love the sport more than I ever have. In addition to SSDC, I have coached for various public and private High Schools on the South Shore and have sat as judge during MIAA diving events for both D-1 and D-2 school's. Additinally, Chris has served at an AAU National Judge over the past 6 years and has evaluated thousands of divers for both 1 and 3 meter sanctioned diving events. Julie, a former SSDC diver and team captain, attended The University of Rhode Island where she dove under the Atlantic 10 Conference. She was a four-time Atlantic 10 team member, awarded Diver of the Year for the 2013-2014 season, and named to the Atlantic 10 Commissioner’s Honor Roll all four years. As a High School Diver, Julie began her diving career late and became the Bay State Conference Champion in her first season as a senior. Julie aims to help the younger generation of divers to feel empowered and confident to take on all of life’s journeys from the lessons they will learn in sport. Julie resides in Quincy, is a Registered Dietitian, and received a M.S. in Public Health Nutrition. Gabrielle McDonald is a former diver, for SSDC, and dove for Notre Dame Academy and was a member of the D1 Diving Team at the University of Connecticut. After UCONN, Gabrielle continued her education at Boston University and was then accepted into a rigorous PhD program at Tufts University. Dr. Gabrielle McDonald is now a PhD. and works as a Scientist for Agios Pharmaceuticals, in Cambridge, MA. 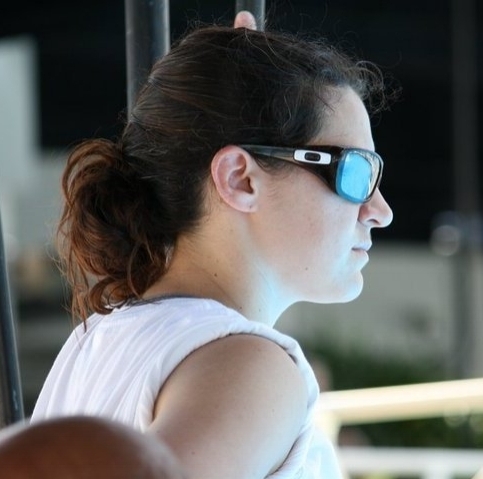 Gabrielle, has coached athletes at the AAU National Diving Championships and has attended at least 2 RIPDIVE trainings as a coach. Gabrielle is an excellent coach and will support divers with their goals and will offer an amazing perspective and mentorship. Gabrielle currently resides in Rockland, MA, with her husband Paul, and their dog Murph! Hannah dives for Georgia Southern University under the CCSA (Coastal Collegiate Sports Association). Hannah was SSDC's only 3-year Senior Captain due to her outstanding leadership abilities. As a senior at Georgia Southern, Hannah is the Captain of her swimming and diving team. Recently, Hannah has received numerous CCSA Diver Of The Week honors and made conference finals on both 1 and 3 meter boards. In High School, Hannah was a A four-year state qualifier and finalist in both swimming and diving. In 2013-2014, Hannah was named as a league all-star team in both swimming/diving and was a state finalist 4 years in a row. Hannah resides in Marshfield and will be a senior at Georgia Southern next fall and is currently pursuing a Law degree.